China’s Chang’e 3 moon lander and its Yutu rover touched down on the moon Saturday (Dec. 14) at about 8:11 a.m. EST (1311 GMT), though it was late Saturday night local time at the mission’s control center in Beijing during the landing. It is the first soft-landing on the moon by any spacecraft in 37 years. And China is only the third country to do a successful soft landing on the moon. The first photo of the moon by China’s Chang’e 3 lunar lander is shown here in this still from a broadcast by the country’s state-run CNTV news channel on Dec. 14, 2013. Chang’e 3 delivered the Yutu rover to the moon with its successful landing. Chang’e 3 launched toward the moon on Dec. 2 Beijing time to begin its two-week trek to the lunar surface. The spacecraft arrived in lunar orbit about five days after launch, and then began preparing for landing. 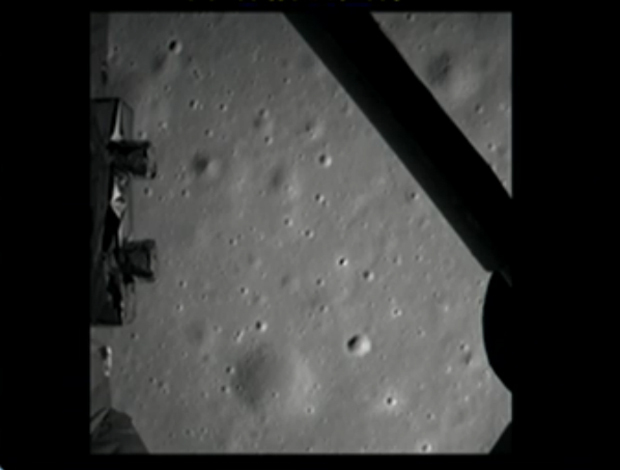 A camera on the spacecraft snapped 59 photos of the moon during the descent, including a view straight from the lunar surface just after touchdown. 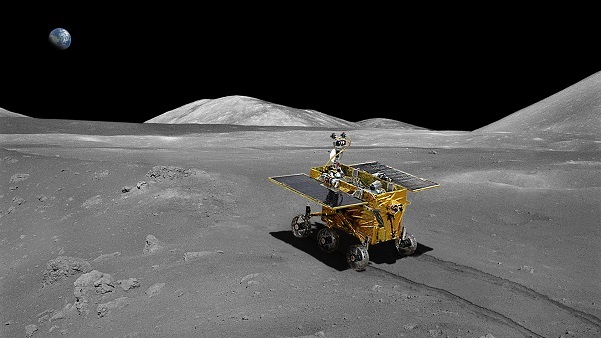 The six-wheeled Yutu (Jade Rabbit) rover is a solar-powered vehicle equipped with cameras, a robotic arm tipped with science gear and a radar system attached to its underbelly. The stationary lander itself also is geared to observe Earth, astronomically eye other celestial objects from the moon, as well as watch the Yutu rover wheel across the lunar terrain.